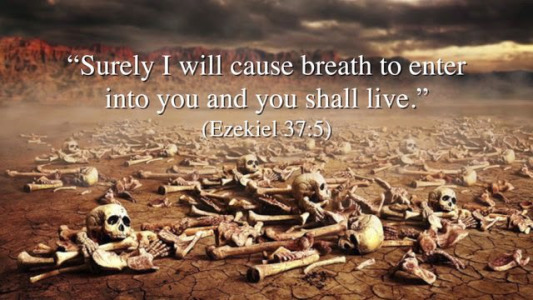 Arguably one of the most well known passages from Ezekiel is chapter 37. We have heard sermons preached on this topic and it is one of the more hopeful messages of Ezekiel. The promise of God bringing the dry bones of a nation back to life is remarkable. Reading these words in Holy Week we find that it is another glimpse of the miracle of the Resurrection. With God all things are possible and God has the ability to raise an army, even from the dry bones buried underground. Thought: Do you see a connection between this vision and the events of Holy Week? Does it offer you hope for some of the difficulties you are facing in your life at the moment?